i rock paper and scissors: Today is My Lucky Day! 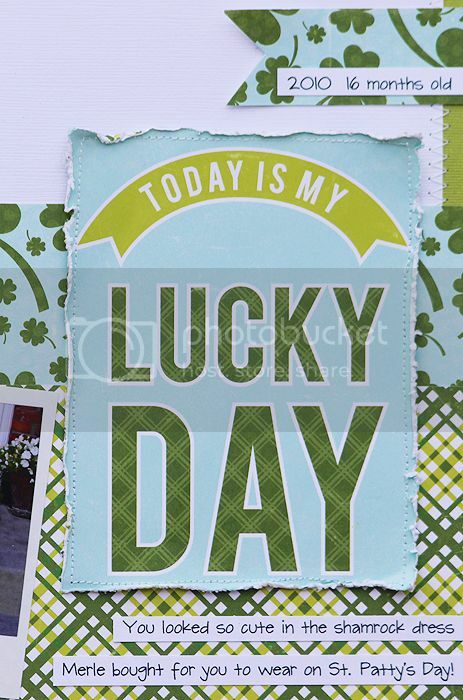 I love this new St. Patty's day collection from Echo Park! A little stitching here and there, and some Stickles on the clouds were the only extras I added, the rest is just patterned papers and cardstock! What a sweet layout ! Love the stitching and the lovely touch of color with the rainbow. So cute! Perfect papers to compliment her dress! This is so cute Mary Ann! Love how you used the EP collection! This is SO super cute! I love the patterns!